U.S. Army OLIVE DRAB No. 4 (Armor 1950-1956 Korean War) 1 oz. U.S. Army DEEP GREEN CAMOUFLAGE FS-34084 (1989-2007 Non-Combat Vehicles) 1 oz. U.S. Army DARK GREEN FS-34088 (Modern Military Police Uniforms) 1 oz. U.S. Army GUN METAL GRAY (Rifles and Howitzers) 1 oz. U.S. Army Matte EARTH (Uniforms) 1 oz. U.S. Army BUFF FS-30371 (Uniforms) 1 oz. 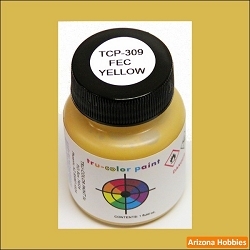 U.S. Army DESERT YELLOW (Uniforms) FS-30266 1 oz. U.S. Army DESERT DARK YELLOW (Uniforms) FS-33448 1 oz. U.S. Army DECK TAN (tops of APCs) FS-33445 1 oz. 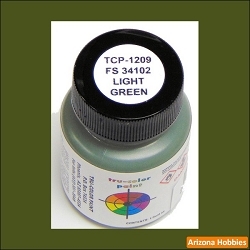 U.S. Marine Corps GREEN (Vehicles) FS-34052 1 oz. Royal Air Force YELLOW DOPED LINEN BC-05 (WWI Bi-Planes) 1 oz. U.S. Army OLIVE DRAB No. 1 (Armor 1944-1945 all theaters) 1 oz. U.S. Army OLIVE DRAB No. 2 (Armor 1939-1941 all theaters) 1 oz. U.S. Army OLIVE DRAB No. 3 (Armor 1942-1944 all theaters) 1 oz. U.S. Army MERDC FOREST GREEN (Armor) FS-34079 1 oz. U.S. Army MERDC FIELD DRAB (Armor) FS-30118 1 oz. U.S. Army MERDC SAND (Armor) FS-30277 1 oz. U.S. Army MERDC BLACK (Armor) FS-37078 1 oz. U.S. Army MERDC DARK GREEN (Armor) FS-34102 1 oz. U.S. Army MERDC EARTH YELLOW (Armor) FS-30257 1 oz. U.S. Army MERDC EARTH RED (Armor) FS-30117 1 oz. U.S. Army NATO GREEN (Armor) FS-34094 1 oz. U.S. Army MILITARY BROWN NATO (Armor) FS-30051 1 oz. U.S. Army BLACK NATO (Armor) FS-37030 1 oz. U.S. Army DESERT SAND Operation Iraqi Freedom (Armor) FS-33531 1 oz. U.S. Army TAN CAMOUFLAGE (Vehicles) FS-33446 1 oz. Imperial Japanese Navy ARSENAL GRAY SASEBO A 1 oz. 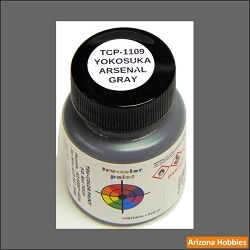 Imperial Japanese Navy ARSENAL GRAY KURE A 1 oz. 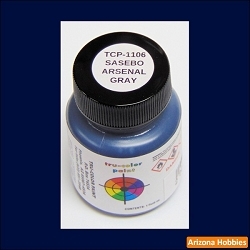 Imperial Japanese Navy ARSENAL GRAY MAIZURU A 1 oz. Imperial Japanese Navy ARSENAL GRAY YOKOSUKA A 1 oz. 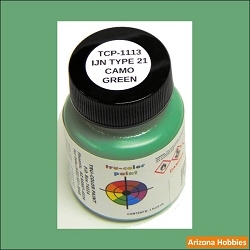 Imperial Japanese Navy CAMOUFLAGE GREEN TYPE 1 1 oz. Imperial Japanese Navy CAMOUFLAGE GREEN TYPE 2 1 oz. 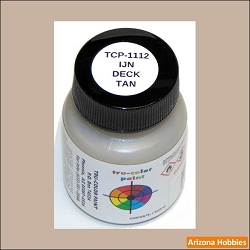 Imperial Japanese Navy DECK TAN 1 oz. 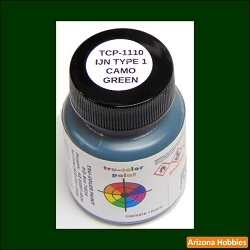 Imperial Japanese Navy CAMOUFLAGE GREEN TYPE 21 A 1 oz. 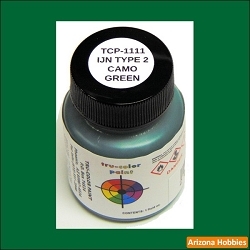 Imperial Japanese Navy CAMOUFLAGE GREEN TYPE 22 A 1 oz. Imperial Japanese Navy LINOLEUM 1 oz. 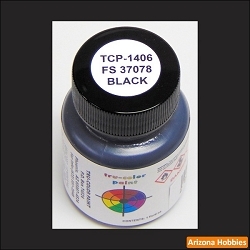 Kriegsmarine RAL 7037 DUNKELGRAU (Dark Gray) 1 oz. 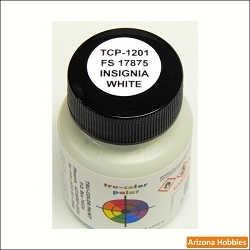 Kriegsmarine RAL 7038 DUNKELGRAU (Light Gray) 1 oz. Kriegsmarine MITTELGRAU (Medium Gray) 1 oz. 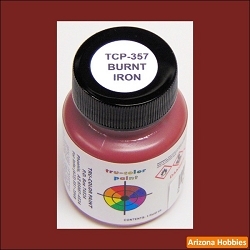 Kriegsmarine RAL 8013 SCHIFFSBODEN FARBE Rot #5 (Hull Red) 1 oz. Kriegsmarine SILBERGRAU (Silver-Gray) 1 oz. Israel Defense Forces LIGHT BLUE FS-35622 1 oz. Israel Defense Forces MIDDLESTONE FS-33531 1 oz. Israel Defense Forces MEDIUM GRAY GREEN FS-34227 1 oz. 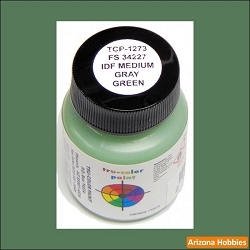 Israel Defense Forces MEDIUM GRAY GREEN FS-34227 2 oz. Israel Defense Forces BROWN FS-30219 1 oz. Israel Defense Forces SKY GREEN FS-34424 1 oz. Israel Defense Forces DARK COMPASS GHOST GRAY FS-36320 1 oz. Wehrmacht RAL 3049 RED OXIDE PRIMER 1 oz. Wehrmacht RAL 8000 YELLOW BROWN 1 oz. 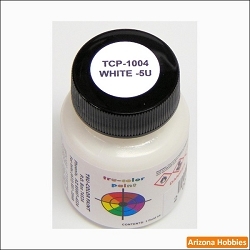 U.S. Air Force PINKISH-WHITE 1 oz. Israel Defense Forces (Armor) OLIVE DRAB GREEN 1 oz. Israel Defense Forces (Armor) SAND 1959-1980 1 oz. Israel Defense Forces (Armor) SAND GRAY 1981-1990 1 oz. Israel Defense Forces (Armor) Modern Armor 1 oz. Israel Defense Forces (Uniforms) LIGHT GREEN 1 oz. Israel Defense Forces (Uniforms) MEDIUM GREEN 1 oz. Israel Defense Forces (Uniforms) DARK GREEN 1 oz. Wehrmacht RAL 7021 Dunkelgrau (DARK GRAY) Armor 1 oz. Wehrmacht RAL 7028 Dunkelgelb No. 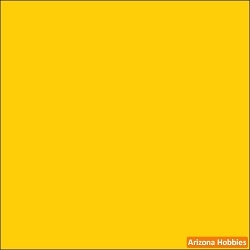 1 (DARK YELLOW) Armor 1 oz. Wehrmacht RAL 7028 Dunkelgelb No. 2 (DARK YELLOW) Armor 1 oz. Wehrmacht RAL 7028 Dunkelgelb No. 3 (DARK YELLOW) Armor 1 oz. 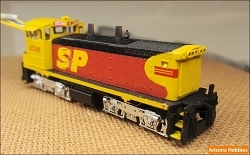 Wehrmacht RAL 7028 Dunkelgelb No. 4 (DARK YELLOW) Armor 1 oz. Wehrmacht RAL 7008 GRAY GREEN 1 oz. 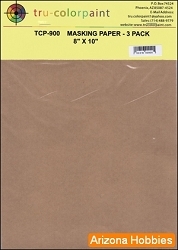 Wehrmacht RAL 6003 OLIVE GREEN 1 oz. Wehrmacht RAL 8017 Rotbraun No. 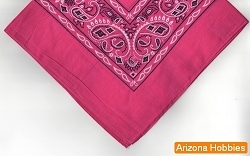 1 (RED-BROWN) 1 oz. Wehrmacht RAL 8017 Rotbraun No. 2 (RED-BROWN) 1 oz. Israel Defense Forces DARK GULL GRAY FS-36231 1 oz. Israel Defense Forces LIGHT COMPASS GHOST GRAY FS-36375 1 oz. Israel Defense Forces GRAY FS-36622 1 oz. 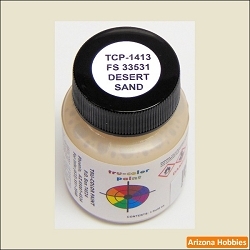 U.S. Army DESERT SAND (Uniforms) FS-34084 1 oz. U.S. Navy GRAY 5-N # 7 1 oz. U.S. Navy TEAK 1 oz. U.S. Navy DARK TROPICAL GREEN 1 oz. U.S. Navy LIGHT TROPICAL GREEN 1 oz. U.S. Air Force SAND FS-30279 1 oz. U.S. Air Force BOMBER TAN FS-34201 1 oz. U.S. Air Force BOMBER GREEN FS-34159 1 oz. U.S. Air Force F-16 HAVE GLASS GRAY 1 oz. U.S. Air Force TITANIUM 1 oz. U.S. Air Force LIGHT GRAY FS-36495 1 oz. 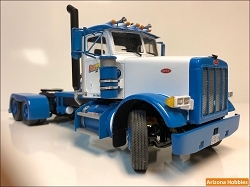 U.S. Air Force LIGHT BLUE FS-35109 1 oz. U.S. Air Force AIR SUPERIORITY BLUE FS-35450 1 oz. U.S. Air Force INTERMEDIATE BLUE FS-35164 1 oz. U.S. Army Air Corps LIGHT BLUE No. 23 1 oz. U.S. Army Air Corps YELLOW No. 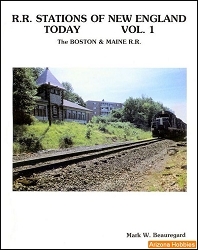 4 1 oz. U.S. Navy ANTIFOULING RED Norfolk 65-A 1 oz. 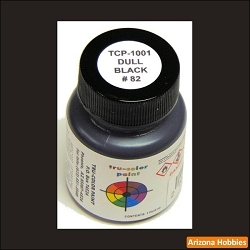 U.S. Navy DULL BLACK No. 82 1 oz. 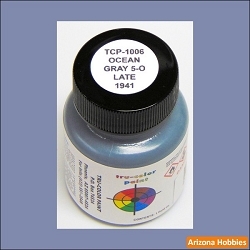 U.S. Navy GRAY No. 5 (pre-1940) 1 oz. U.S. Navy HAZE GRAY 5-H 1 oz. U.S. Navy WHITE 5-U 1 oz. U.S. Navy LIGHT GRAY 5-L (early 1941) 1 oz. U.S. Navy OCEAN GRAY 5-O (late 1941) 1 oz. U.S. Navy BLUE 5-N 1 oz. U.S. Navy SEA BLUE 5-S Version C 1 oz. U.S. Navy MAHOGANY (Carrier Flight Deck pre-1941) 1 oz. U.S. Navy DECK BLUE 20-B (1942-1945) 1 oz. U.S. Navy CAVITE BLUE (late 1941 on) 1 oz. U.S. Navy PALE GRAY 5-P (1943 on) 1 oz. U.S. Navy LIGHT GRAY 5-L (1943 on) 1 oz. U.S. Navy POLISHED BRONZE (Propellers) 1 oz. U.S. Navy BOOT BLACK 1 oz. U.S. Navy THAYER BLUE 5-B (1941 on) 1 oz. U.S. Navy DECK BLUE 20-B (1939-1941) 1 oz. U.S. Navy OCEAN GRAY 5-O (1939-1941) 1 oz. U.S. Navy FLIGHT DECK STAIN (late 1941 on) 21 1 oz. U.S. Navy STANDARD DECK GRAY No. 20 (1929-1941) 1 oz. U.S. Navy DARK GRAY 5-D (early 1941) 1 oz. U.S. Navy FLIGHT DECK STAIN Norfolk 250-N (1941-1945) 1 oz. U.S. Navy BROWN 1-A (landing craft 1941-1942) 1 oz. U.S. Navy MOUNTBATTEN PINK 1 oz. U.S. Navy BROWN 2-A (1941-1942) 1 oz. U.S. Navy BROWN 3-A (1941-1942) 1 oz. U.S. Navy BROWN 4-A (1941-1942) 1 oz. U.S. Navy GREEN 1-A (1941-1942) 1 oz. U.S. Navy GREEN 2-A (1941-1942) 1 oz. U.S. Navy GREEN 3-A (1941-1942) 1 oz. U.S. Navy GREEN 4-A (1941-1942) 1 oz. U.S. Navy GREEN No. 1 (1944-1945) 1 oz. U.S. Navy GREEN No. 2 (1944-1945) 1 oz. U.S. Navy GREEN No. 3 (1944-1945) 1 oz. U.S. Navy BROWN No. 4 (1944-1945) 1 oz. U.S. Navy HAZE GREEN 5-HG (1943) 1 oz. U.S. Navy GREEN 5-NG (1943) 1 oz. U.S. Navy OCEAN GREEN 5-OG (early 1943) 1 oz. U.S. Navy LIGHT GREEN 5-LG (1943 revised) 1 oz. U.S. Navy DECK GREEN (1943) 20-G 1 oz. 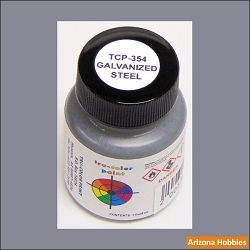 U.S. Navy MODERN HAZE GRAY FS-36270 1 oz. U.S. Navy OCEAN GRAY NAVSEA FS-36173 1 oz. 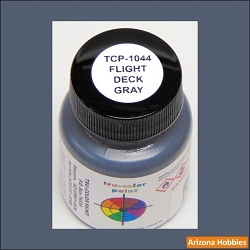 U.S. Navy MODERN FLIGHT DECK GRAY 1 oz. U.S. Navy MODERN DECK GRAY (all other ships) FS-26008 1 oz. U.S. Navy OCEAN GREEN 5-OG (revised 1943) 1 oz. U.S. Navy PALE GREEN 5-PG (revised 1943) 1 oz. U.S. Navy HAZE GREEN 5-HG (revised 1943) 1 oz. U.S. Navy LIGHT GRAY 5-L No. 37 (1944-1945) 1 oz. U.S. Navy HAZE GRAY 5-H No. 27 (1944-1945) 1 oz. 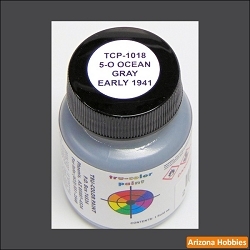 U.S. Navy OCEAN GRAY No. 17 (1944-1945) 1 oz. U.S. Navy OUTSIDE GRAY No. 11 (1944-1945) 1 oz. U.S. Navy OUTSIDE GRAY No. 46 (1944-1945) 1 oz. U.S. Navy SEA BLUE 5-S Version A 1 oz. U.S. Air Force DARK COMPASS GHOST GRAY FS-26320 1 oz. U.S. Air Force INSIGNIA WHITE FS-17875 1 oz. U.S. Air Force LIGHT COMPASS GHOST GRAY FS-36375 1 oz. U.S. Air Force BLUE GRAY FS-35237 1 oz. U.S. Air Force LIGHT GULL GRAY FS-36440 1 oz. U.S. Air Force F-35 RADAR DISPERSION GRAY No. 1 1 oz. U.S. Air Force F-16 DARK GRAY FS-36231 1 oz. U.S. Air Force MEDIUM GUNSHIP GRAY FS-36118 1 oz. 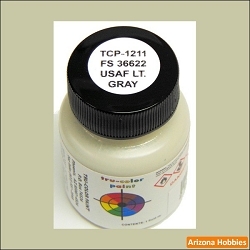 U.S. Air Force MEDIUM GRAY FS-36270 1 oz. U.S. Air Force F-4 LIGHT GREEN FS-34102 1 oz. U.S. Air Force INTERNATIONAL ORANGE FS-12197 1 oz. U.S. Air Force LIGHT GRAY FS-36622 1 oz. U.S. Air Force TAN FS-30219 1 oz. U.S. Air Force FOREST GREEN FS-34079 1 oz. 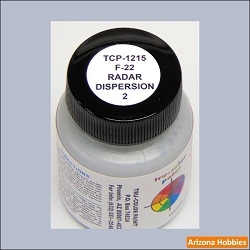 U.S. Air Force F-22 RADAR DISPERSION DARK COMPASS GHOST GRAY 1 oz. 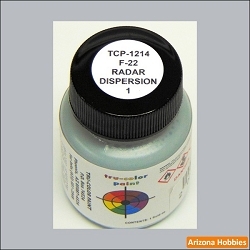 U.S. Air Force F-22 RADAR DISPERSION LIGHT COMPASS GHOST GRAY 1 oz. U.S. Air Force AIRCRAFT GRAY FS-16473 1 oz. 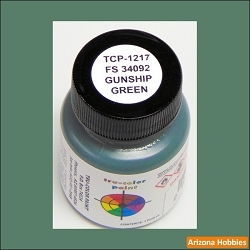 U.S. Air Force GUNSHIP GREEN FS-34092 1 oz. U.S. Air Force BROWN FS-30140 1 oz. 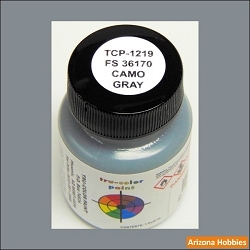 U.S. Air Force CAMOUFLAGE GRAY FS-36170 1 oz. U.S. Air Force F-35 RADAR DISPERSION GRAY No. 2 1 oz. U.S. Air Force OLIVE GREEN FS-34259 1 oz. U.S. Army Air Corps DEEP BLUE-BLACK ANA-623 1 oz. U.S. Army Air Corps Semi-Matte DEEP BLUE-BLACK ANA-606 1 oz. U.S. Army Air Corps Matte DEEP BLUE-BLACK ANA-607 1 oz. U.S. Army Air Corps MEDIUM GREEN ANA-612 (WWII Naval Aircraft) 1 oz. U.S. Army Air Corps AIRCRAFT STEEL 1 oz. U.S. Army Air Corps SAND ANA-616 (North Africa) 1 oz. U.S. Navy DARK GULL GRAY ANA-621 (US Navy Atlantic Aircraft) 1 oz. U.S. Army Air Corps AIRCRAFT GRAY ANA-603 1 oz. Royal Air Force OLIVE DRAB No. 1 PC-10 (WWI Bi-Planes) 1 oz. Royal Air Force OLIVE DRAB No. 2 PC-10 (WWI Bi-Planes) 1 oz. Royal Air Force BROWN-GREEN PC-10 (WWI Bi-Planes) 1 oz. Matte RAIL BROWN 1 oz. Kansas City Southern HOPPER GRAY 1 oz. Wabash Railroad BLUE 1 oz. Matte RAILROAD TIE BROWN 1 oz. 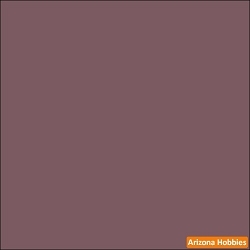 Matte ROOF BROWN 1 oz. 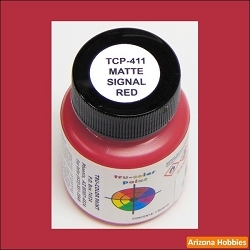 Matte SIGNAL RED 1 oz. 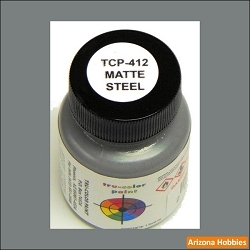 Matte Stucco LIGHT GRAY 1 oz. 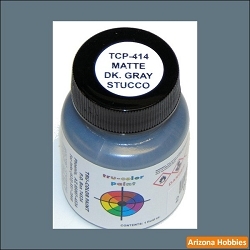 Matte Stucco DARK GRAY 1 oz. Matte Stucco LIGHT TAN 1 oz. 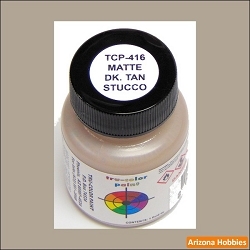 Matte Stucco DARK TAN 1 oz. 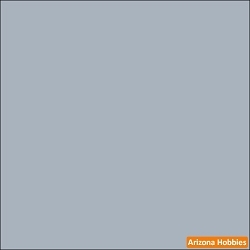 Matte Stucco LIGHT GRAY-BLUE 1 oz. Matte Stucco CREAM 1 oz. 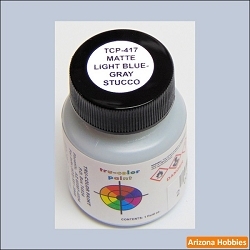 Matte Stucco PALE TEAL 1 oz. Matte Stucco TEAL BLUE 1 oz. Matte Stucco LIGHT BROWN 1 oz. 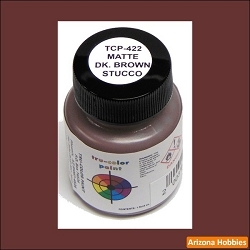 Matte Stucco DARK BROWN 1 oz. 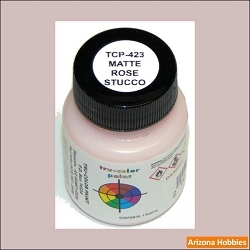 Matte Stucco ROSE 1 oz. Matte Stucco MINT GREEN 1 oz. 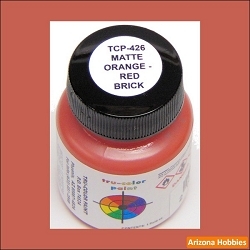 Matte Brick ORANGE-RED 1 oz. Matte Brick BROWN-RED 1 oz. Matte Brick DARK-RED 1 oz. 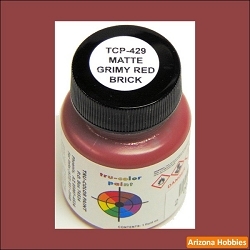 Matte Brick GRIMY RED 1 oz.